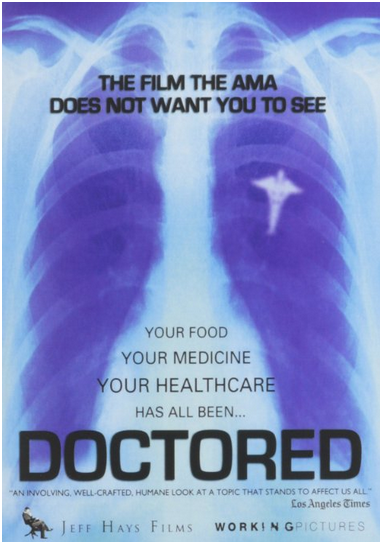 Doctored reveals the unseen tactics of these “influencers” in an investigation that leads to the highest levels of the American Medical Association (AMA) and reveals an alarming portrait of deception and criminality. Along the way we wonder: Is much of what we “know” about modern medicine just slick marketing from companies that profit when we’re in pain (or by putting us in pain)? Why aren’t we being told about the successes of natural therapies? Why do so many people think chiropractors are “quacks,” nutritional supplements a waste of money, and acupuncture a fringe therapy? Our society has reached a crossroads on vaccines. Americans are asking questions about safety but are confused about where to turn for answers. Government agencies are charged with implementing sound policies that will keep vaccination rates high and disease rates low. But to accomplish this noble goal, does the government go too far in shielding the public from possible side effects? American children are now the most vaccinated population on the planet. 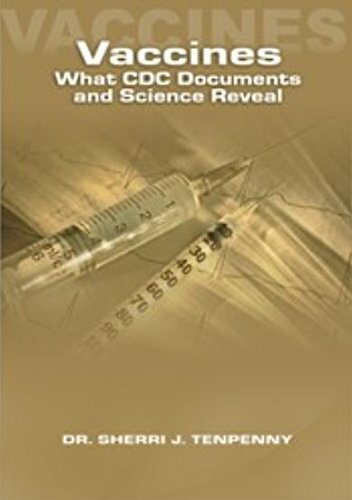 One would think they would also be the healthiest, but consider these alarming statistics: according to the Centers for Disease Control and Prevention, 1 in 6 children has a learning disability or behavioral problem, 1 in 9 children is asthmatic, 1 in 110 children suffers from autism, and 1 in 450 is diabetic. Vaccinate? The Greater Good explores this pressing question and sheds light on an issue that is already on the minds of expecting mothers and fathers, grandparents, doctors and healthcare professionals across the country. This film is a character-driven documentary that explores the areas where parenting, modern medicine and states rights clash with politics, group-think and Big Pharma. The film offers parents, doctors and policy-makers a safe space to actively listen to and learn from one another. 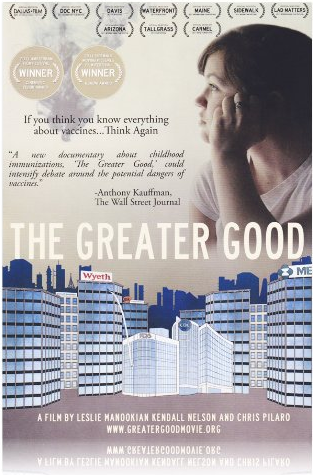 Mixing verité footage, intimate interviews, 1950s-era government-produced movies and up-to-date TV news reporting, The Greater Good weaves together the stories of families whose lives have been forever changed by vaccination. In a sleepy lagoon off the coast of Japan, behind a wall of barbed wire and “Keep Out” signs, lies a shocking secret. It is here, under cover of night, that the fishermen of Taiji engage in an unseen hunt for thousands of dolphins. The nature of the work is so horrifying, a few desperate men will stop at nothing to keep it hidden from the world. 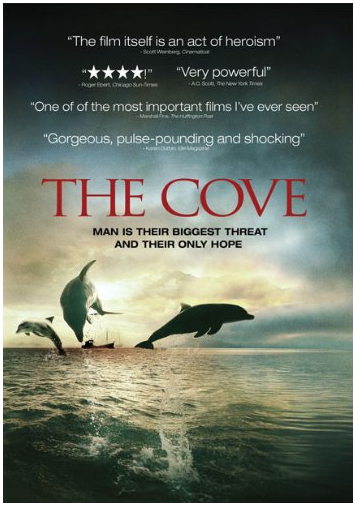 But when an elite team of activists, filmmakers and freedivers embark on a covert mission to penetrate the cove, they discover that the shocking atrocities they find there are just the tip of the iceberg. “Mercury accumulates as it travels up the food chain. Large predators such as dolphins, tuna and swordfish usually have the highest levels. The latest studies published by the Japanese government show that meat from bottlenose dolphins had about 1,000 times the mercury content of that from sardines. Fetuses and small children are particularly vulnerable to mercury, which affects the development of the nervous system. The Health Ministry recommends that pregnant women eat at most 2.8 ounces (80 grams) of bottlenose dolphin per two months.